You might have heard about chart-topping Disk Junkies (that’s what DJ actually stands for, by the way) Adam Hyde and Reuben Styles, the guys behind Peking Duk. 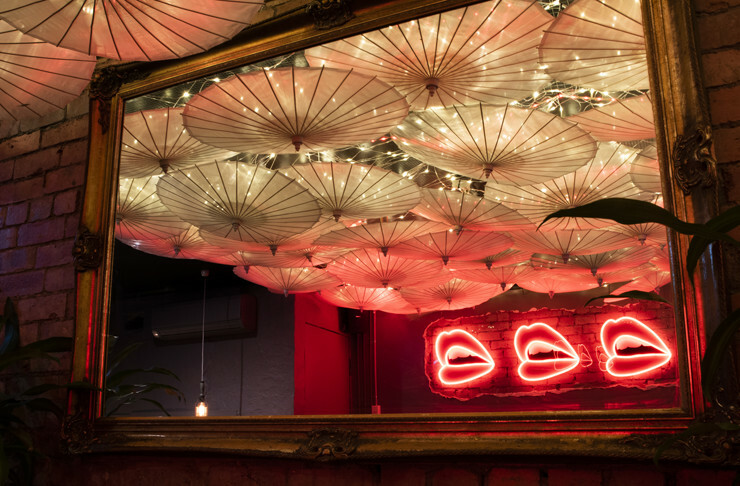 At the end of last year, the duo joined forces with hospitality superstars Steven Hiles and Chef James McCall to provide South Yarra with its newest nighttime hotspot. Talk To Me is the perfect place to start, enjoy, and end your night without ever having to leave. Taking inspiration from the dimly lit bars of Shanghai, New York, and Berlin, this joint seamlessly combines Western decor and East Asian cuisine to create the perfect cocktail bar destination. 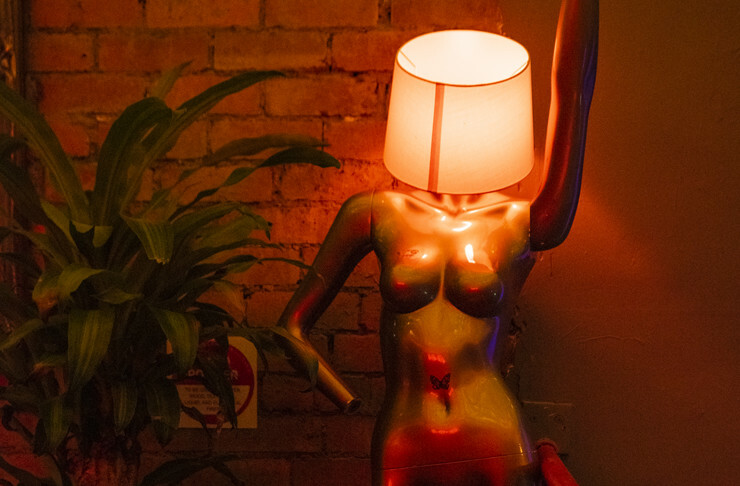 From exposed brick highlights, and what we guess is the bulk of Melbourne’s op shop inventory covering the walls, to a naked mannequin light and a carved tree on the dance floor, it’s clear that the Talk To Me team had a lot of fun decorating the place. And Steve is right: nothing at Talk To Me looks out of place and unintentional, even though it seems it was unintentionally put together. It’s all part of the charm. At Talk To Me, you don’t have to worry about having eaten before pounding back the drinks—the menu is laced with such pure deliciousness, it’ll have you bursting at the seams while providing you with enough boogie fuel to dance the night away. 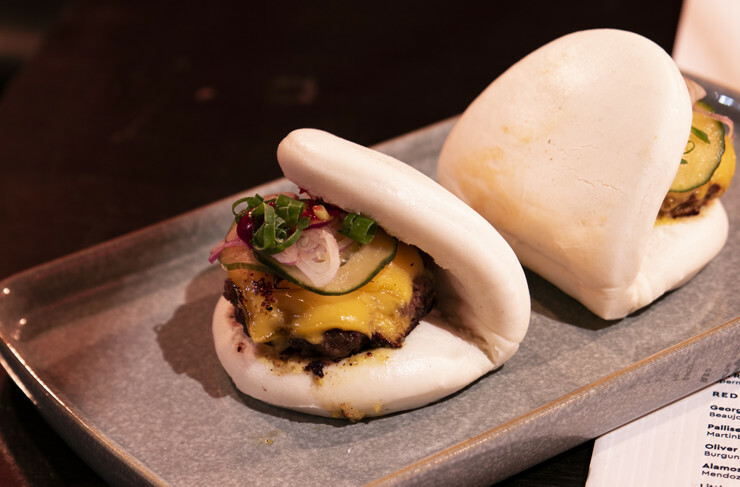 Flipping through the menu, you’ll find a lineup of cheeseburger-inspired nibbles that’ll send your tastebuds into orbit. Think delectable dim sim, spring rolls, a ‘cheesebaoger’ (yes, that is a pun and no, we’re not sorry), and kimchi fried chicken. It’s like you died and went to tastebud heaven. 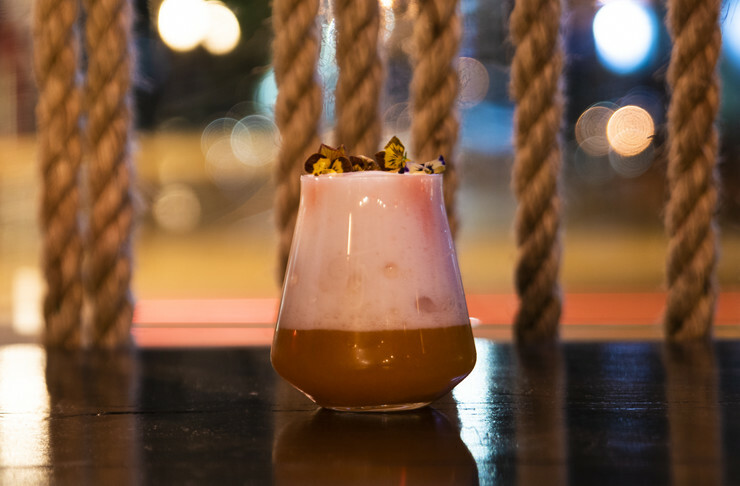 When it comes to drinks, there is an endless list of concoctions that will leave you on a wild goose chase for the most Instagrammable cocktail in Melbourne. Spoiler alert: they’re all here. First off, the Sailor Moon has to be seen to be believed. We’re talking Grey Goose Vodka, Aperol, mandarin and lemon coated with a juniper foam—it’s easily the best way to start your night. The signature Talk To Me Bloody Mary is another drink you can’t miss. The gin-based variation is served with green tomato salt and it’s distinctly different from your run-of-the-mill Bloody Mary, but we can confirm it’s bloody delicious. With the music inspiration behind this establishment, there is no shortage of quality performances weekly. Whether it’s live RnBabe Sunday sessions that always pack out, monthly appearances by the Peking Duk boys themselves for a surprise DJ set, or patrons shredding their own talents on the mic throughout the night, there’s always something going on at Talk To Me. 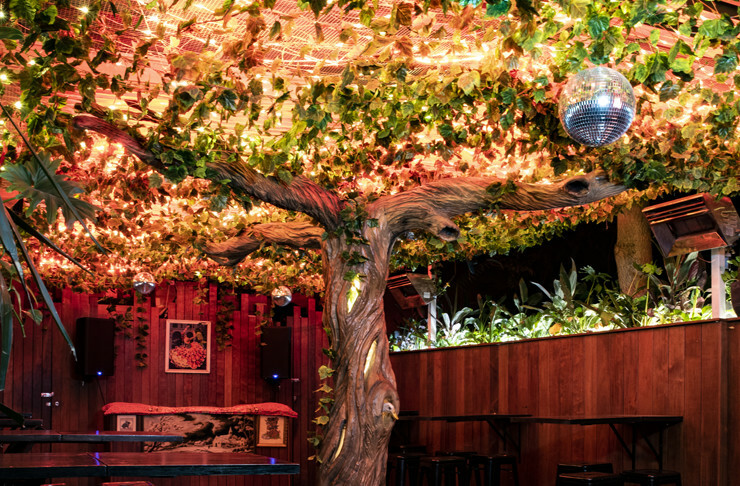 Talk to me is open Tuesday to Sunday until late so you can soak in the amazing aura and delicious drinks all night and maybe even catch a wicked DJ set by the Peking Duk boys themselves. For more on the latest openings around Melbourne, head to our Food & Drink section.